To meet the needs of EMS Providers at all levels, these offerings meet and exceed requirements for lecture and practical credits assigned by the State of Michigan. Payment must be made prior to the first day of class. Students wishing to receive BLS certification will be required to complete an online AHA approved BLS didactic course (BLS for Healthcare Providers Part 1) at www.onlineaha.org prior to CE Day 4 and bring their completion certificate for submission. BLS skills checks will be conducted beginning after 5:00 PM on Day 4 of the CE Course. The fee for a BLS Skills Check is $75.00 and pre-registration is required. Please contact the LSTI Business Office for more information at 248.304.6057. 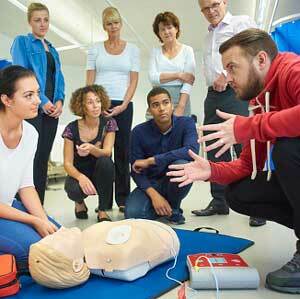 Are you interested in a BLS Skills Check?